KCM Arts Club Organized “Jingle bells” on 23rd December 2016 to celebrate the auspicious occasion of Christmas. 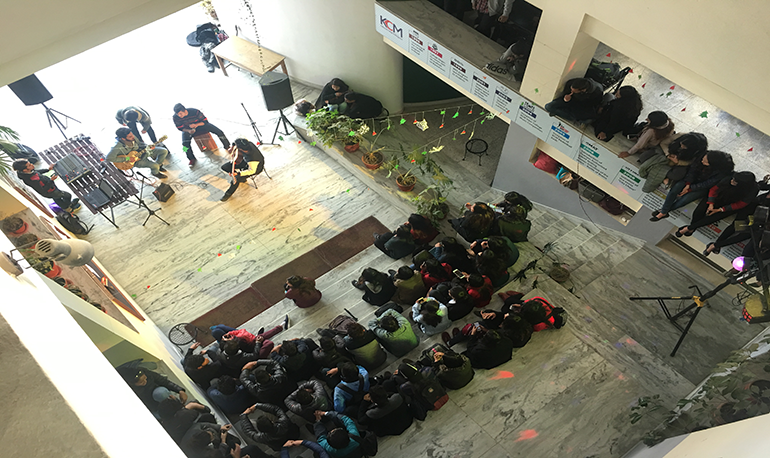 This event comprised of a musical session where the students of KCM showcased their talents in music. There were over 30 students who gave us a ride of emotional roller coaster through their melodious voices. The event was then followed by a dance party where everyone enjoyed and finally gave a very exciting goodbye to their semester.